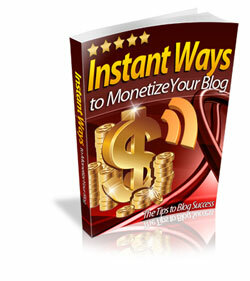 Learn how to monetize your blog and reap the rewards of your skills. A blog is an amazing medium, to express your views/opinions and benefit monetarily in the process. According to income diary, Weblogs Inc (which is a top blogging network) earns $30 million a month from 13 million unique visitors. The Huffington Post and Mashable are two other examples, earning about $2 million and $500,000, respectively. However, as great as this platform is, you need to have adequate knowledge and be up-to-date and adept with various techniques of monetizing it. The amount of web traffic that your blog attracts isn’t necessarily proportional to the monetary benefit that you derive from it. It is important to have the knowledge and understanding of certain tips and pointers, which can help you enhance your gains.